Like I said, that's why the Rapture was delayed. 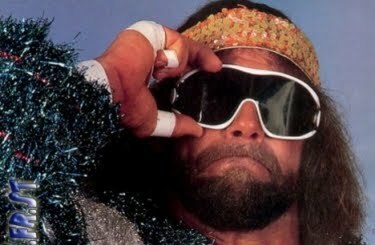 @ Randy Savage: If you didn't have that heart attack and veer across a concrete median ... through oncoming traffic ... then collide head-on with that tree and die the day before the Rapture, all of humanity would have been destroyed. You're a hero, Mr. Savage. You're my hero! Man I’m impressed with this informative blog, and in fact you hav a genius mind. keep up the good work. @ static lol jk idk! @ T Mobiles: pfft! Genius? I don't think so. But I do have street smarts, to me that is more important. For instance, it means I am less inclined to spam people for material gain because I have a sense of personal integrity. To each their own. @ Randy Savage: Obi-Wan told me you killed my father. @ Randy Savage: No . . . no! That's NOT true! THAT'S IMPOSSIBLE!!! NOOOOOOOOOuuuhhh! NOOOooooooooeerrrgh! That was a cheap shot, Macho Man. Yeah, you better run, 'cause when I catch you you're going to feel the wrath of God. Damn you, Randy! Damn you all to wresslin' hell! You kept me from being Raptured. The good lord chose me as one of his worthy flock to get the almighty cloud ride to Heaven. I had my bags all packed and gave all of my worldly possessions to hobos, homos, retarded kids, beatniks, Smurfs and folks whose names begin with a "T". Oh, Randy, you really ruined it this time. Come October 21st, you better leave that chance at Rapture alone, dude. I don't wanna miss my opportunity this time around. Besides, God really needs good folks like me up there to help out and set a holy example for everybody. @7masterheathen if you gave away all of your worldly possessions, why did you pack your bags? What's in them thar bags, mister??! I just packed a pair of clean underwear and some Archie comics. 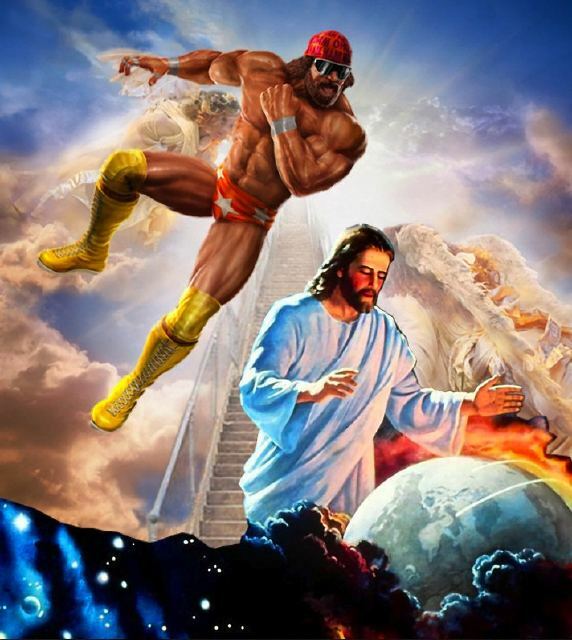 i'll bet miss elizabeth is tickled pink to have macho madness running wild in heaven. randy will the one to open the seven seals. @7masterheathen I don't believe clean underwear or Archie comics are necessary in Heaven. You're a materialist, and a heathen. No 'Get Out of Hell Free' card for you! @ Billy: Liz Taylor is putting the smack down on the Macho Man and wearing his tickled pink spandex pants. It appears that they're equally envious of each others wardrobes. So this battle could last a while.